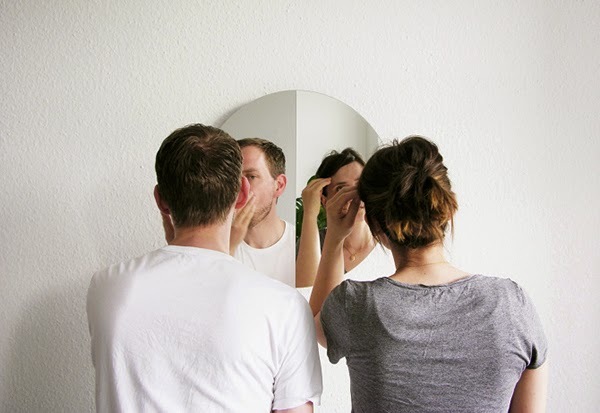 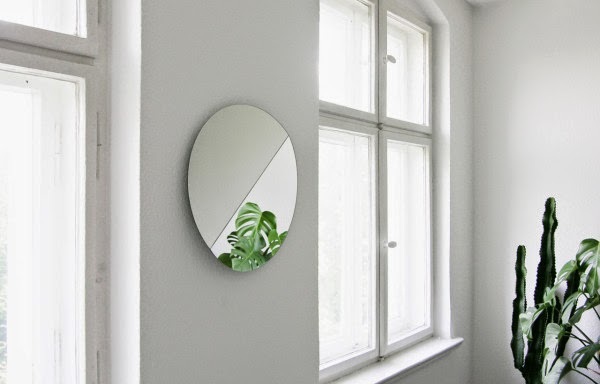 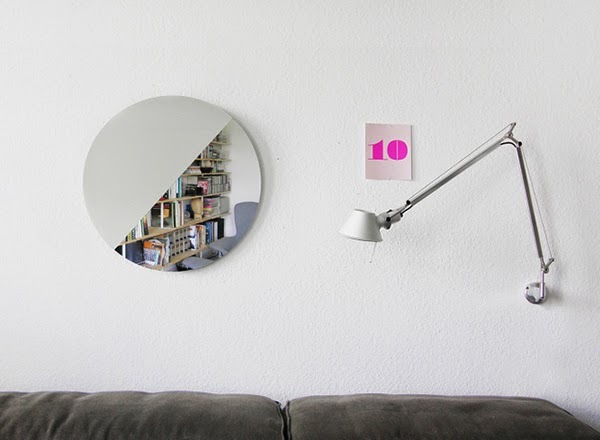 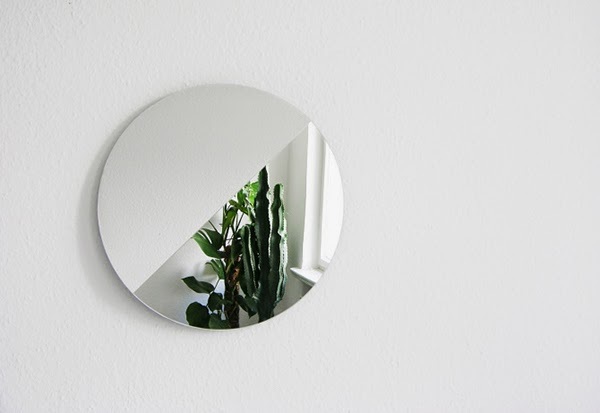 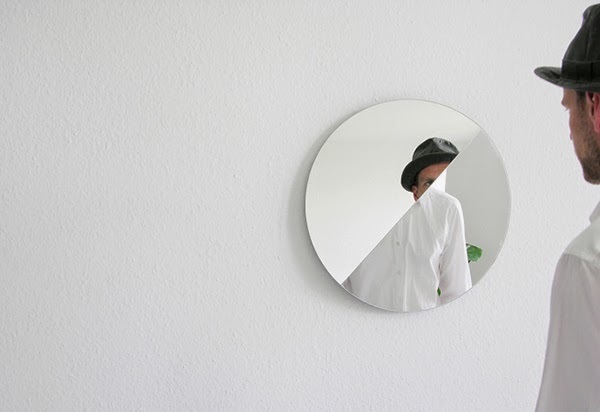 Mirror # 180 is a flat mirror with two mirror halves angled to each other designed by halb/halb. 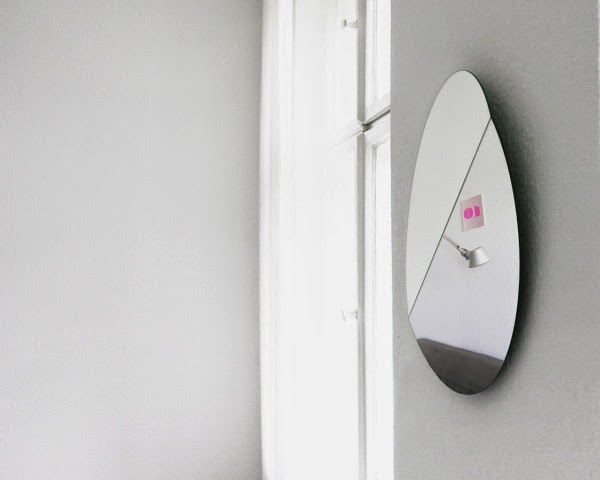 Due to the angle, you see two different perspectives of the room or the thing in front of it. 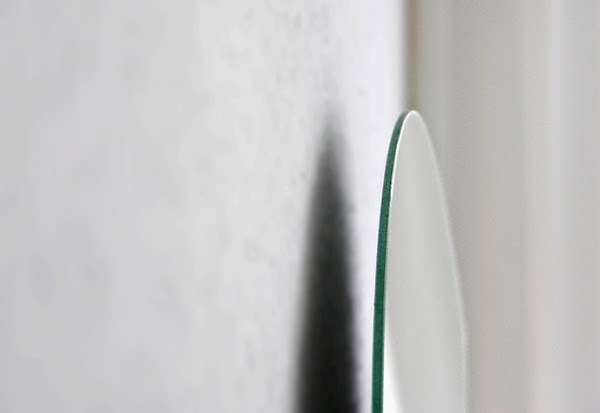 A wood base-connection is fixed on the back.There it can be suspended in three positions, to rotate the front angle accordingly. 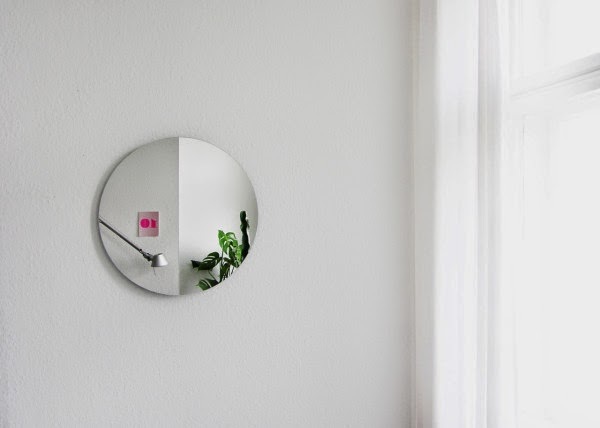 Depending on the angle, you can see yourself standing close to each other, or one behind the other at different heights, or what hangs below the ceiling.